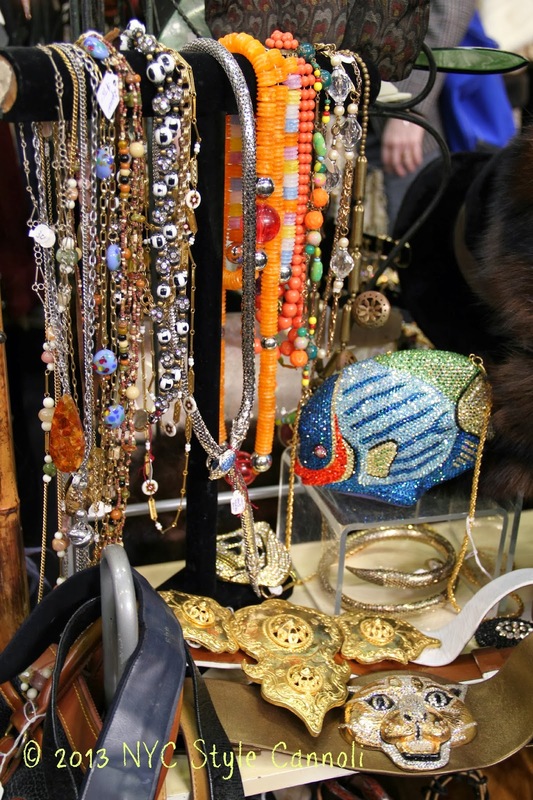 We are back at The Pier Antiques Show and the area called "fashion alley". Some of you may not be aware that in addition to all the great furniture, art and collectables this show has to offer, fashion is not left out! 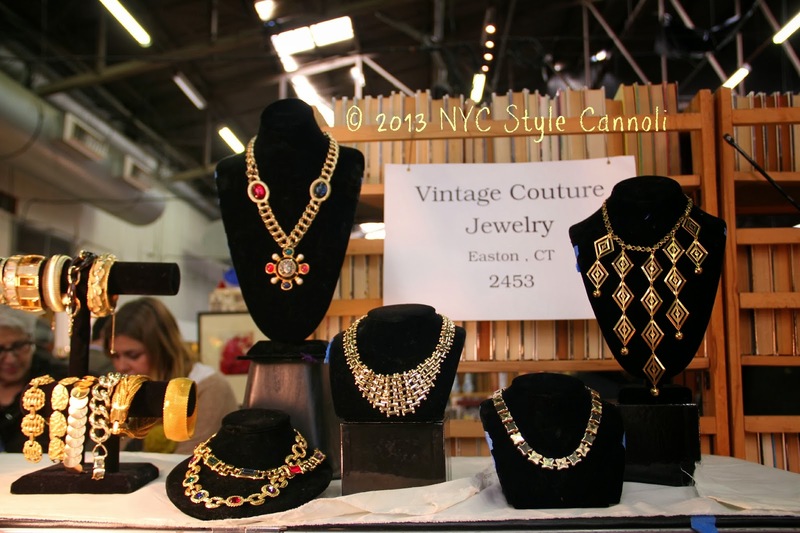 They have some great vendors, like Vintage Couture Jewelry, which really stand out. 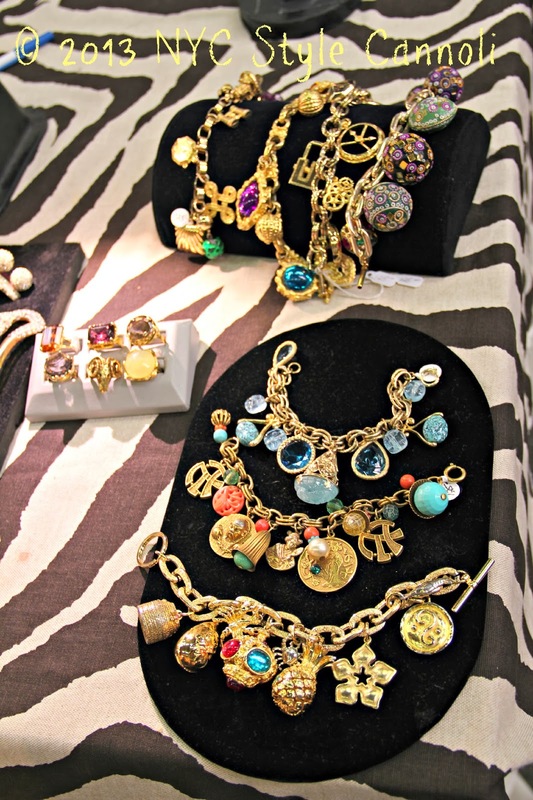 I just love layering many necklaces all together and these vintage ones are excellent for that task! 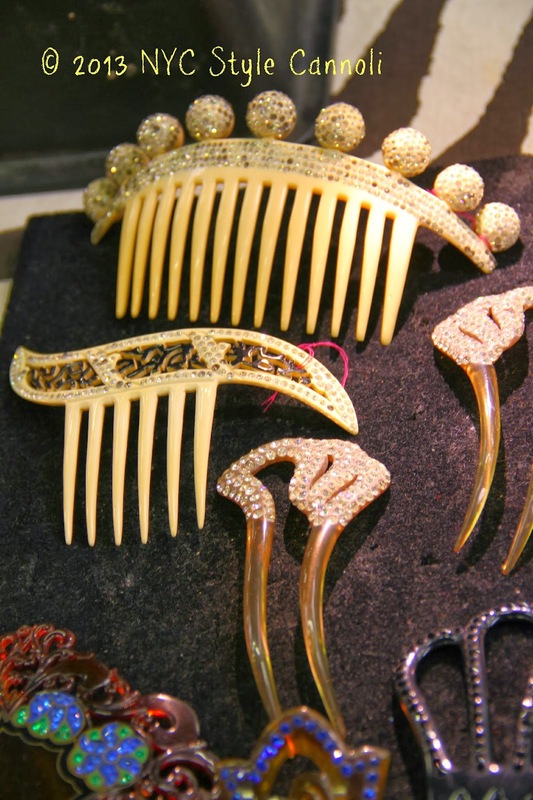 Amazing hair clips that my grandmother used to wear. She had long hair so they would often use these clips, they are really so gorgeous! They still look great in 2014, very chic! 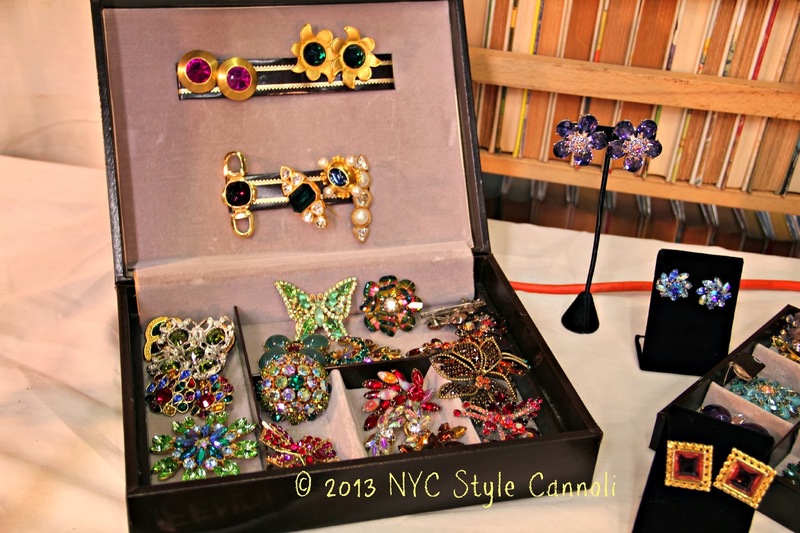 I love this type of costume jewelry. I always remember going through my Mom's jewelry box and enjoying all the colors of her jewels. I sort of surpassed her in the jewelry department, sad to say. 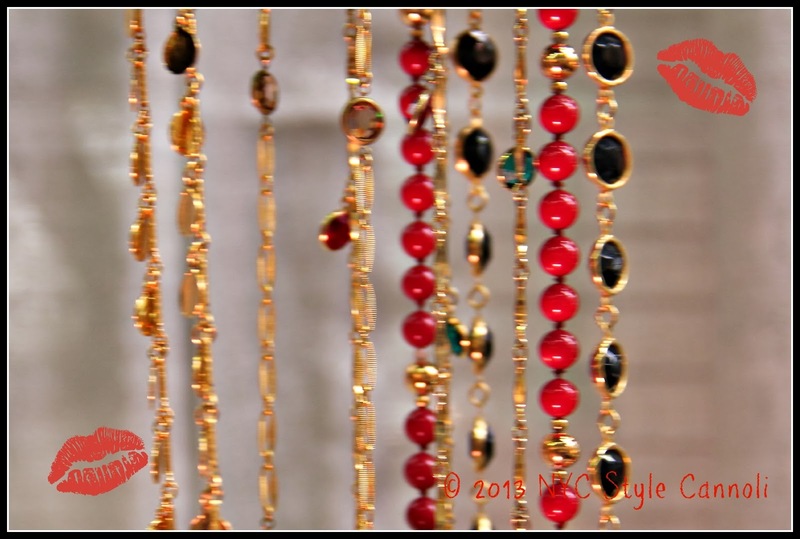 I never met a piece of jewelry I didn't like! 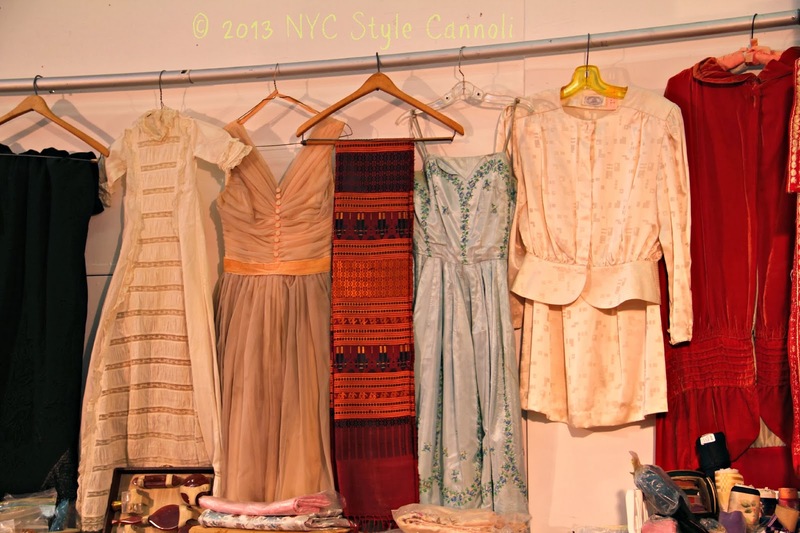 It was very hard for me to not purchase something at this show, but I behaved really well. This was one of my most favorite booths. Rivka Katvan is a fabulous photographer who has shot many of the Broadway stars backstage. Rivka was the nicest lady, I told her I was covering the show for my blog, she showed me her book of photographs. I was really so impressed. I love when I meet someone who has had so much success but is still very down to earth. 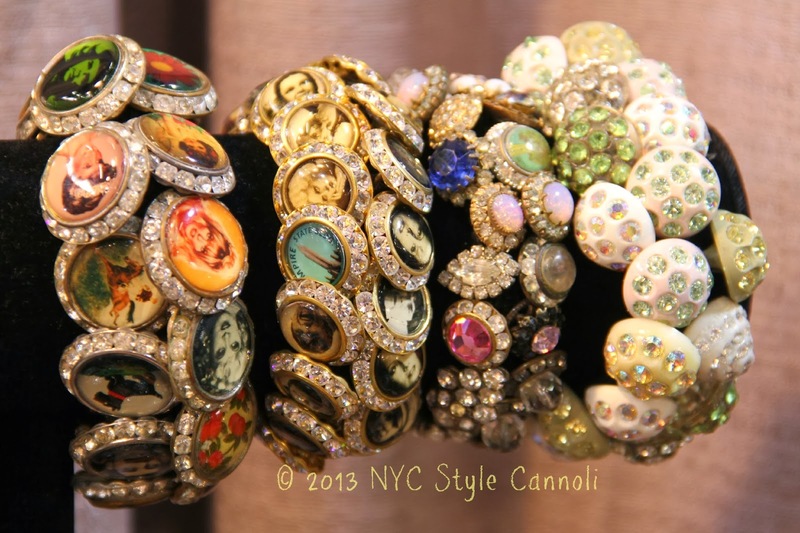 So on top of being a most excellent photographer, she makes these stunning bracelets! 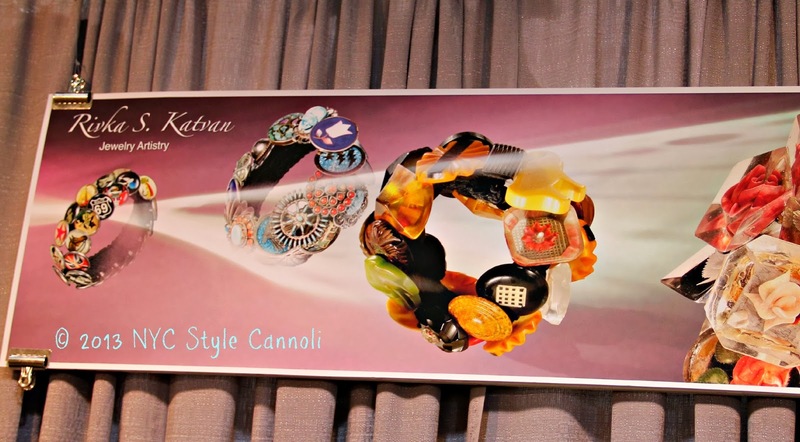 I really loved the styles below, they are all hand sewn on the fabric which is stretchie and goes so easy on your wrist. These were another great set of various designs. 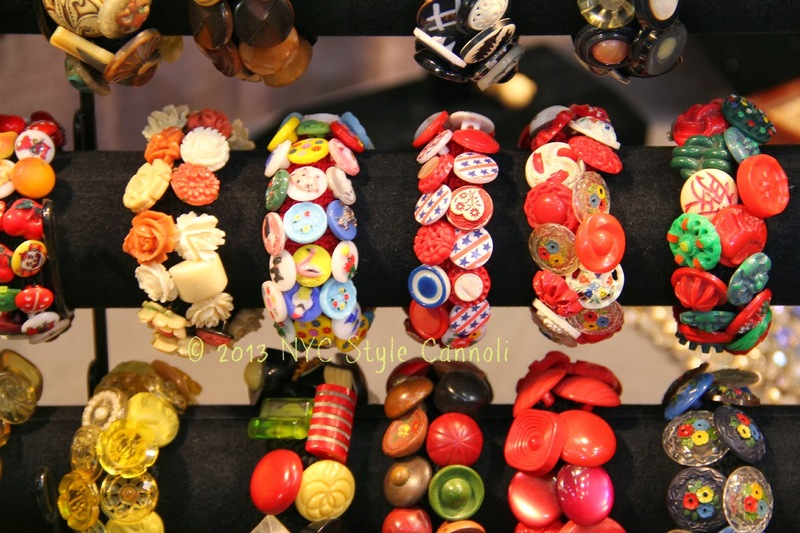 She makes buttons out of the pieces she finds, and turns them into wearable chic jewelry. Don't you just love it ?? 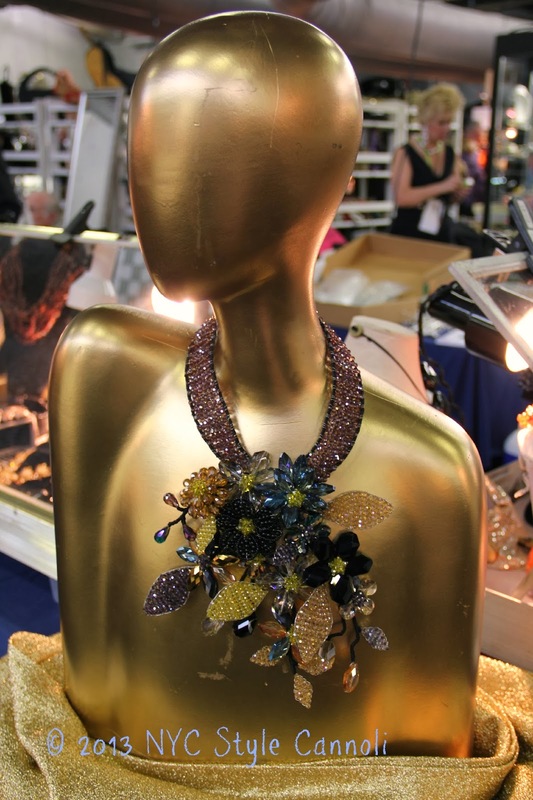 What a grand entrance you can make wearing this necklacce? Ahhh, pins....I do love them but I find I don't wear them as much as I should. I actually did a post of my pin collection on the blog HERE so you can see my lovely collection. These were quite the stunners! 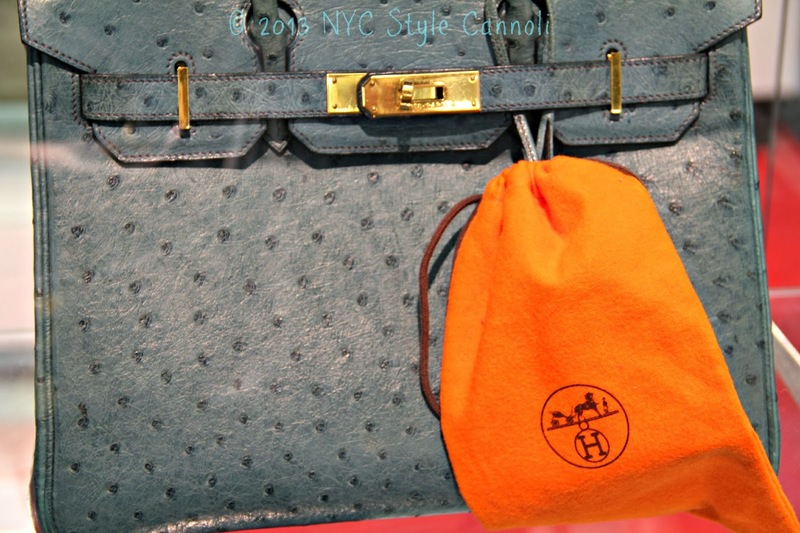 A lovely close up of those Birkin bags, a nice way to end this fashionable post! !